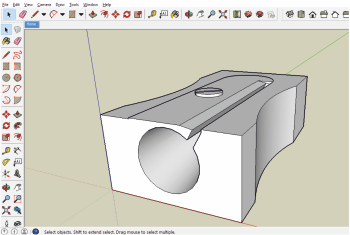 The first stage in manufacturing a product / model in a 3D printer, is to draw it in CAD software. Once completed, the design is exported as an STL file ( or OBJ / DAE / AMF formats), which is likely to be compatible with the software provided by the 3D manufacturer. 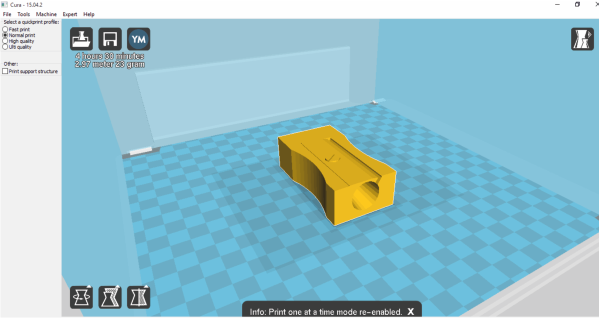 Some 3D manufacturers use open source software such as ‘CURA’. 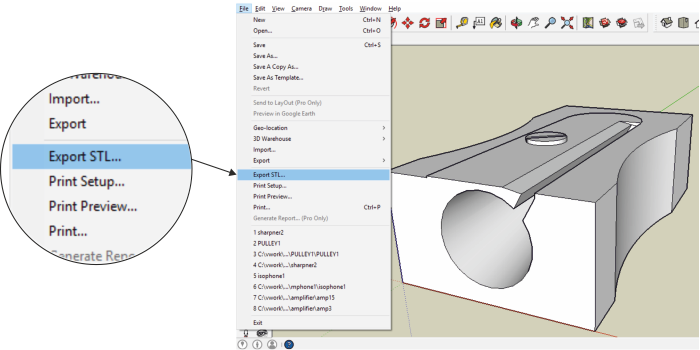 Open up the manufacturers recommended software and import the STL file. The design can then manipulated, such as rotated and scaled. It is then ready for saving as a model. The model (file) can then be copied to an SD card, which in turn is inserted into the 3D printer SD-card slot, ready for use.